It's been cold out here. So the family and I have been snuggling up more on the couch together picking out great movies or new shows to watch on Netflix. I mean, there are just so many to choose from, but this month alone Netflix has outdone themselves for the New Year by adding new shows and movies for us to watch. Can I just say how happy I am that FRIENDS is now on Netflix? I mean, it's FRIENDS, all ten seasons! This is me and my husband's favorite show. We never got a chance to buy the entire season, but we're so glad we get to watch it back to back on Netflix. It's a great treat for us to watch a couple episodes a night after the kiddos are all in bed. Anyways, not only have they added shows and movies that we already love, but they have also added a new series that stars one of my kids favorite characters from the Shrek movies. It's The Adventures of Puss in Boots! Yes, Netflix added this new series January 16th, so if you're a Netflix member you and your kiddos can stream it now. If you're not a Netflix member just remember it's only $7.99 a month and your first month is free. You can stream movies and shows practically anywhere from your computer, smart phones and tablets, smart TV's and video consoles. 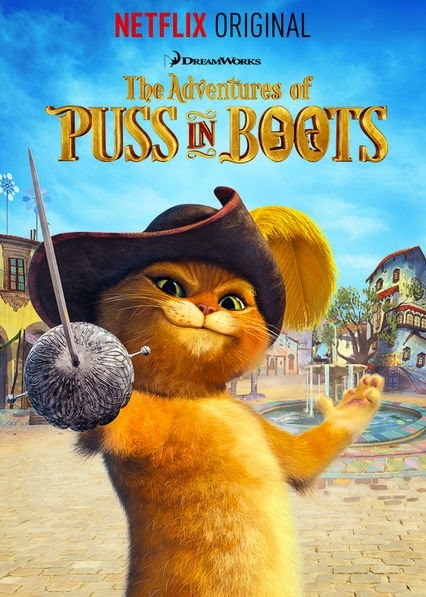 The Adventures of Puss in Boots follows Puss as he embarks on adventures that are the stuff of legend, nothing can stand in the way of this swashbuckling hero … except a hairball! My kids loved the series and it made them want to watch Shrek all over again. Puss in Boots is a great example of an enduring and entertaining children’s tale based on a book. 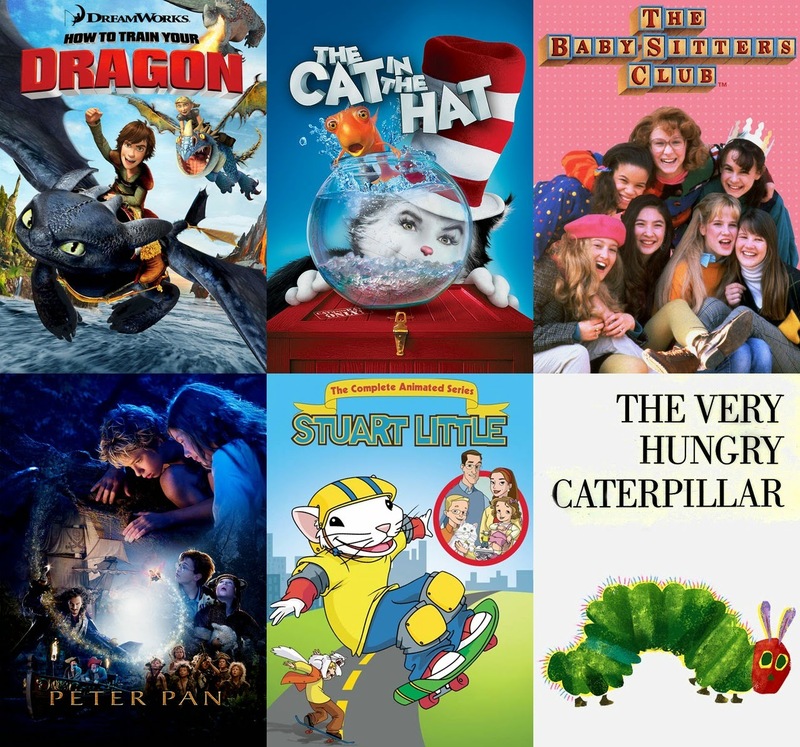 So below is a list of other great shows your kids can watch that showcase the tradition of re-imagining and continuing great stories from literature. I hope you check out The Adventures of Puss in Boots and the other titles I mentioned above. I've recently started watching The Babysitter's Club with my nine year old and she loves it. This is another show that we get to watch together and talk about how I use to watch it as a young girl.